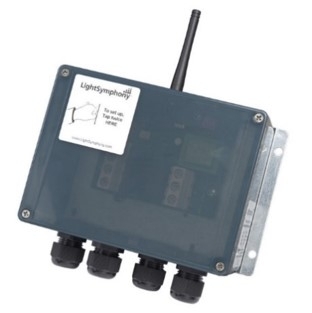 Light Symphony is a versatile and cost-saving wireless control system for your garden lighting and other outdoor electrical devices. 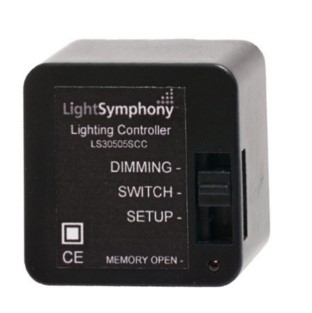 The Light Symphony range brings new levels of control, flexibility and expandability. Its long wireless range (5Km max!) allows controllers to be positioned in the garden and powered from any source, thereby reducing cabling and digging, while offering fuller control. Its energy saving features and smart timers reduce running costs too. Light Symphony's robust (1 km range) wireless system provides complete control whilst reducing and simplifying outdoor cabling. It allows circuits to be controlled without having to trench individual cables back to the house. Light Symphony can uniquely scale up from a small project, to very large schemes, simply by adding additional Lighting Control Modules. 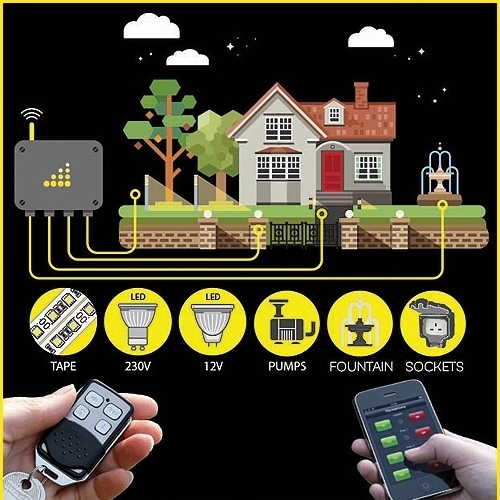 All you need to start controlling your lighting system is a 'Lighting Controller' plus one transmitter, like a key fob, long range remote or smartphone/tablet. 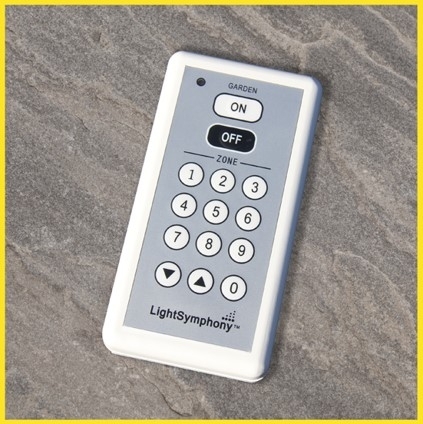 Light Symphony offers a wide selection of remote controls (A) to send commands wirelessly to outdoor Lighting Controllers (B). The Lighting Controllers connect directly to the outdoor lighting (C) or other electrical device. •Use Any Lights - Light Symphony can operate with any lighting type, including Low Voltage, Halogen, Discharge and LED. •Areas - you can switch up to 29 different areas. •Zones - for larger gardens, 'Areas' can be grouped together into 'Zones' so that a single button can switch a whole section of the garden. 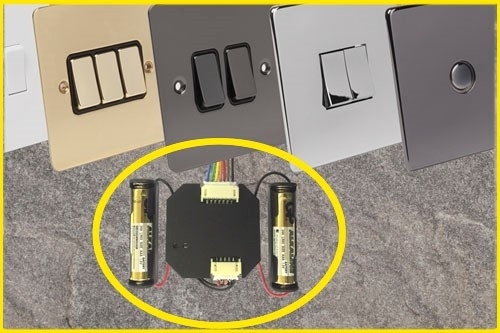 •Automation - lights can be triggered from external systems such as electric gates to automatically illuminate areas as you leave or arrive (requires a Light Symphony Gate Interface or a Light Symphony Driveway Beam Sensor). •Light Show - when activated it automatically controls your lighting to create a stunning performance of moving light and shadows (requires a Light Symphony Base Station). •iSymphony - allows you to control your lighting system using your smartphones or tablets (requires a Light Symphony iPort Interface). 1km line of sight operating range. 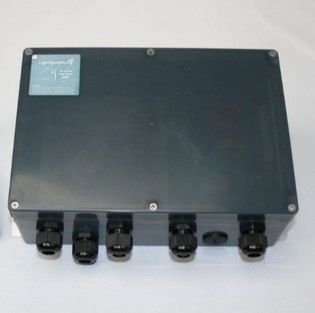 ( reduce by 50% when line of sight is broken), Dimming, facilitates up/down dimming from 100% to 10% and soft switching, Standard on/off switching to allow switching of pumps and other automated circuits, 350w max output. 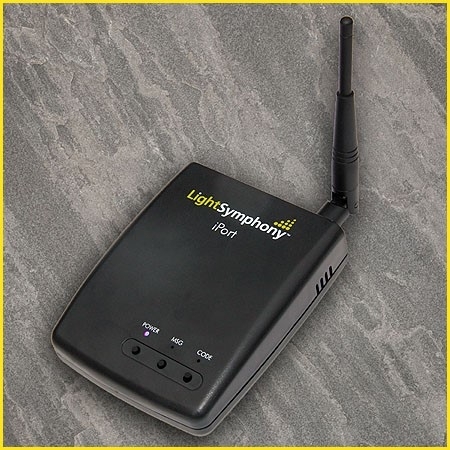 The Light Symphony iPort provides a simple link between the iSymphony app on your smartphone or tablet and your garden lights Use Amazon's Alexa too using the new Light Symphony 'Skill'. The iPort plugs in to a spare port on your existing Wi-Fi router. It configures itself automatically for home use, so requires no knowledge of networking or other complex configuration. It receives commands from the app, which it wirelessly relays to any number of lighting controllers (receivers) with a line of sight range of 1 Km. With extra (manual) configuration of your router the iPort can enable control from outside your home via the phone network or internet, from anywhere in the world! 1. 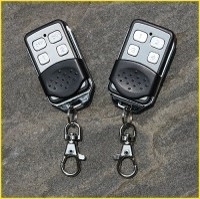 Interfacing to electric gates or other sensor to provide automated lighting control when vehicles approach. 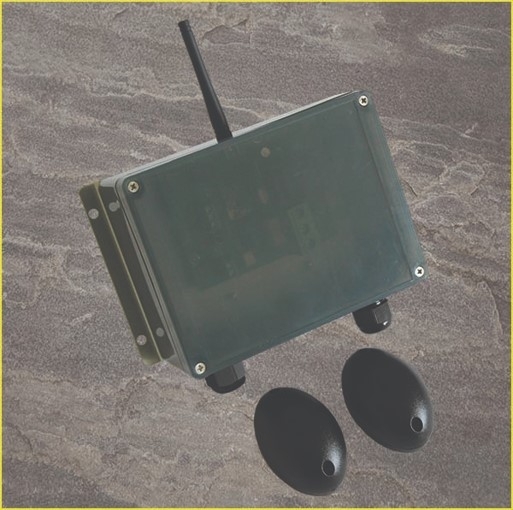 When triggered, it wirelessly signals to the Lighting Control Modules an on-time of 1 to 15 minutes It contains an adjustable dusk sensor to prevent trigger during daylight. 2. The signal repeater echo's commands received from any of Light Symphony's wireless transmitters. Up to 5 repeaters may be used together to extend Light Symphony's range by 1000 meters* radius each. 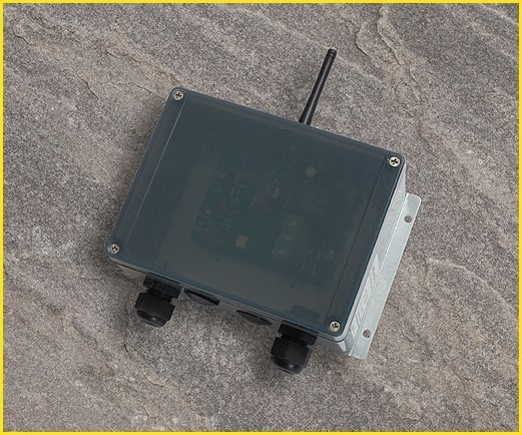 Not effected by wind or animals, it provides nuisance-free sensing for driveways or paths, and will wirelessly trigger any number of lighting controllers for a short time when the beam is broken. Its on-time is adjustable from 1 to 15 minutes and includes a dusk sensor to prevent unwanted triggers in daylight hours. It will not interfere with the user’s control, meaning that lights that have been switched on manually will not be affected. Power and lamp savings can be achieved too, for example, by dimming the driveway lights to a lower brightness (e.g. 25%) and using this unit to trigger them to 100%. Lighting For Gardens are an approved UK reseller of Light Symphony Wireless Outdoor Lighting. If you require any information then please contact our technical team on 01462 486777.